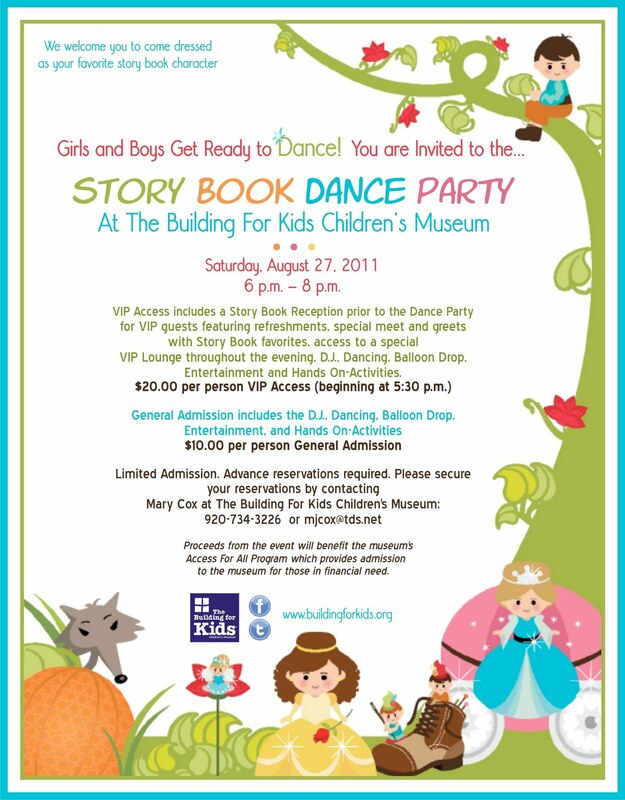 Posted on Aug 9, 2011 by Appleton Downtown Inc.
Hey kids, grab your parents, friends, favorite story book costumes and your dancing shoes and get ready to boogie at the Story Book Dance Party at the Building for Kids Children's Museum on Saturday, August 27th from 6 pm - 8 pm..
Dance the night away with Cinderella, Belle, Prince Charming and other surprise story book characters while enjoying special Story Book hands-on activities and crafts in DaVinci Studio. Want VIP Access to the Story Book Characters while enjoying refreshments in the VIP Lounge? You got it. VIP Tickets are $20 each and are limited so call now at 920.734.3226 to secure your VIP status!